The man jailed for the 1999 Clydach murders has been told a provisional decision has been taken not to send his case to the Court of Appeal. A spokesman for the Criminal Cases Review Commission said lawyers for David Morris were informed on 30 June. His lawyers compiled new evidence in a bid to try and appeal his conviction. 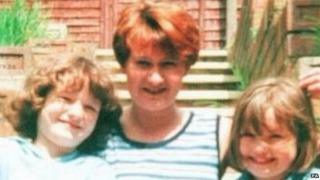 Mandy Power, her daughters Katie, 10, and Emily, eight, and her mother Doris Dawson, 80, were killed at their home in Swansea. Morris, originally from Craigcefnparc, was jailed for life for the second time in 2006 for the killings after a prior conviction was quashed. Morris's legal team will now take several weeks to consider this provisional decision and they are being asked to respond with any further observations, comments or arguments. The deadline for the submission of this response is the end of August. The spokesman said: "It's very much under review and no final decision has been taken."